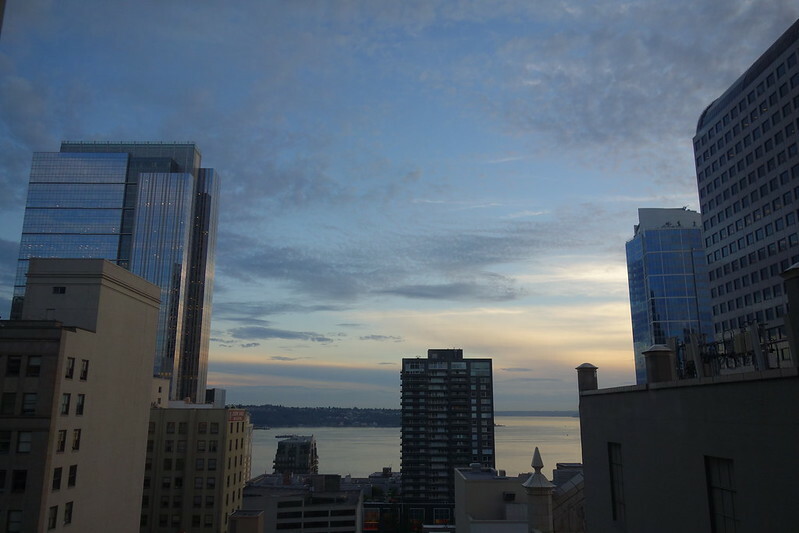 The first time I visited Seattle in early 2013, it quickly became one of my favorite places. Coming from the northeast United States, the pacific northwest seemed like a paradise, even though I visited during the “winter”. I would say that partly cloudy, mid-60s, and scattered showers is a way better February forecast than the normal garbage in New York. My return at the end of August this year, further solidified my very high opinion of coastal Washington. A whole week of clear skies, with warm, but far from uncomfortable temperatures. 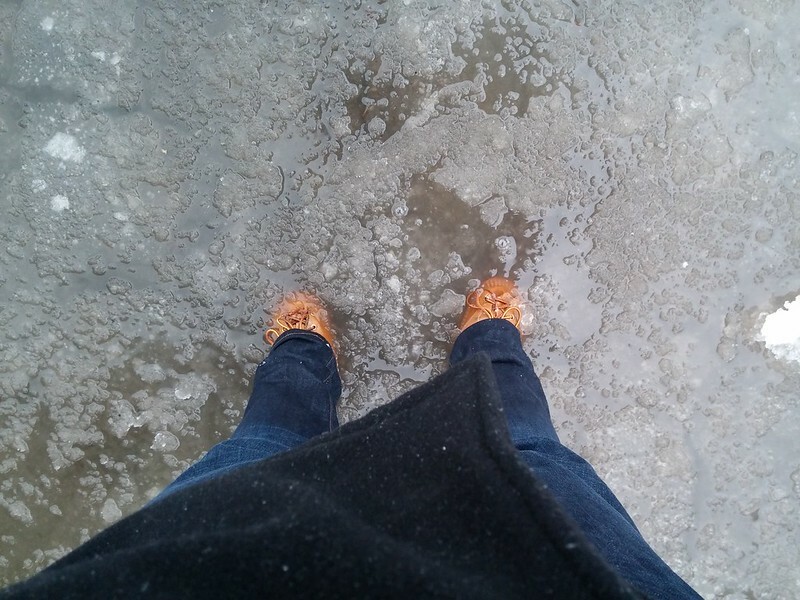 Perfect weather for walking around and exploring downtown. My fiancee and I stayed at Motif Seattle in Downtown Seattle, which gave us access to some of the best tourist spots in Seattle without needing a car. My first time visiting Washington, I stayed with friends in Redmond, so I rented a car for the week. After all the headache of dealing with parking in Redmond and Seattle, I definitely wanted to avoid that this time around. The hotel itself was nice, but the room was nothing really special. That might be more of being spoiled by staying in smaller themed bed and breakfasts than anything wrong with the hotel room. It was clean, and had a really great view. When in Seattle, the most important thing as far as I am concerned is proximity to Pike Place Market. Save money on the hotel, to dump into amazing food! Speaking of food, a very notable spot our friends took us to, was Beth’s Café. 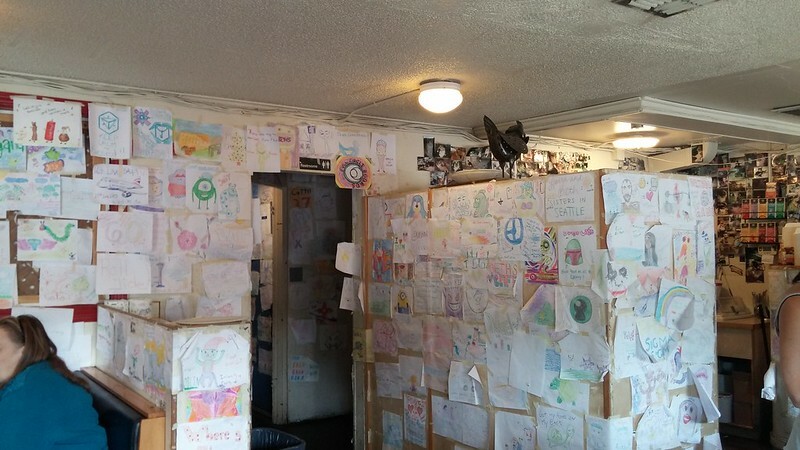 Very much an unassuming place, that has some notoriety for their giant pancakes, and TWELVE egg omelettes!! Being the big eater that I am, our friends had this place at the top of their list to take us, if only to see if I could actually rise to the challenge. What you’re looking at is twelve eggs filled with chili, salsa, and cheese, all over a bed of hash potatoes. If it was also packed with bacon and a steak, it could pass as a meal fit for Ron Swanson. I’m pretty sure looking at this thing added thirty pounds to my max squat, as well as my spare tire. 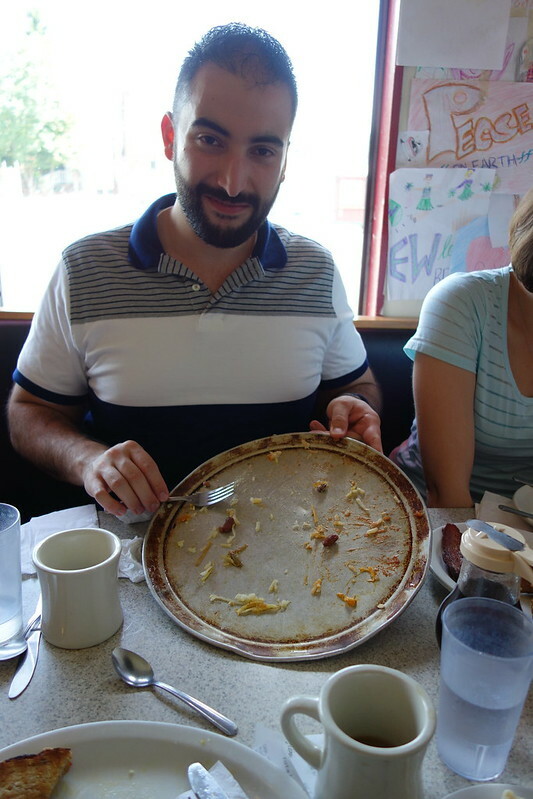 Everyone thought I met my match, that there was no way I would be able to eat that mound of food. 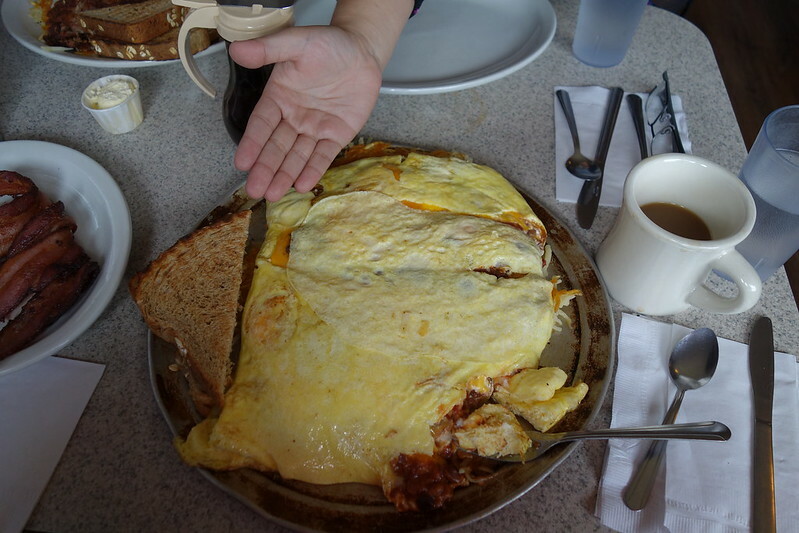 As is my way I made short work of this behemoth omelette, much to the horror of everyone I was sitting with. 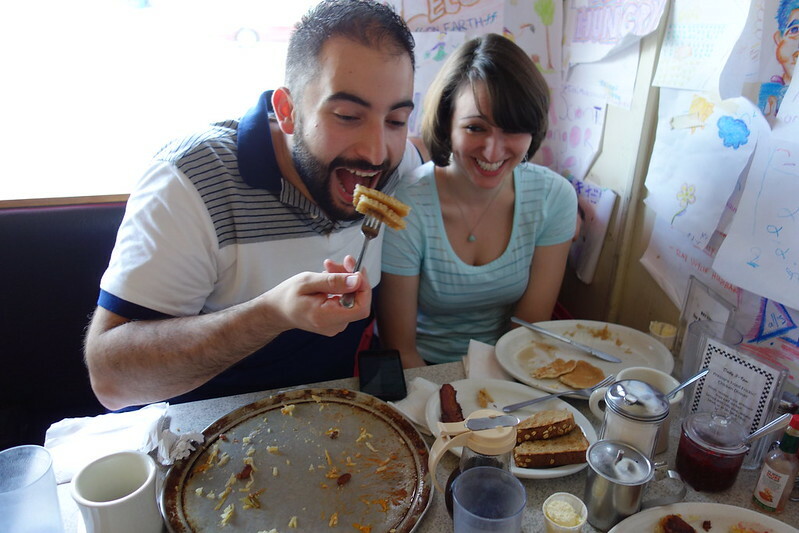 Then to mix it up, I even finished off the rest of my fiancee’s pancakes! This was definitely one of those meals, where as Louis CK joked, it wasn’t over when I was full, the meal was over when I hated myself. SR-71 Blackbird: Coolest. Plane. Ever. To help myself power through the shame of eating an inhuman amount of food we took a trip to The Museum of Flight, and wandered around the gigantic building for a few hours. There is an unbelievable amount of cool concentrated in one place. 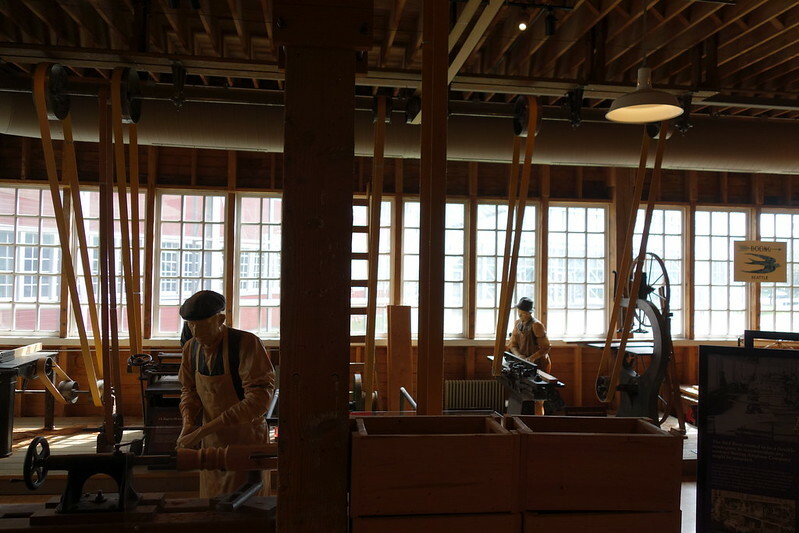 One of the first sections you encounter is the original Boeing “Red Barn”, which was the company’s first manufacturing plant. Even though it’s “just a barn” the building was pretty large, an impressive feat, that it was moved all the way to the museum campus after being donated. After exploring the barn, our group signed up for a museum tour, where our awesome volunteer tour guide walked us around the main floor, and gave us a fairly detailed history of the most interesting of the planes. 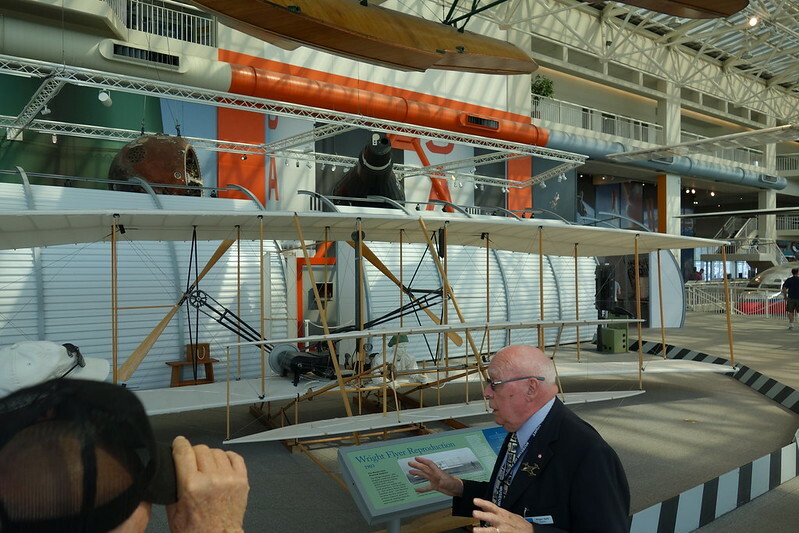 The first stop was the museum’s reproduction of the Wright brothers’ flyer, where we were given some background on the special history of this particular reproduction.Apparently for the 100th anniversary of the Wright brothers’ historic flight, a replica was to be chosen by the U.S. Centennial of Flight Commission to recreate the flight exactly 100 years later to the minute, at the exact same place. Originally they wanted to use the actual flyer, which is safely stored in the Smithsonian, but the Smithsonian informed the commission they should stop with that kind of crazy talk. So the replica in the Seattle Museum of Flight was chosen, as it was the most faithful reproduction found. 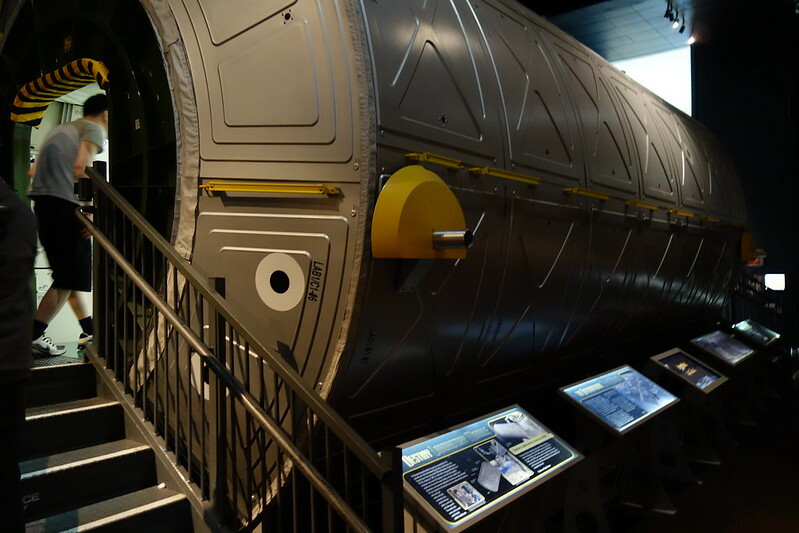 Another very cool replica was the to-scale version of an International Space Station module. 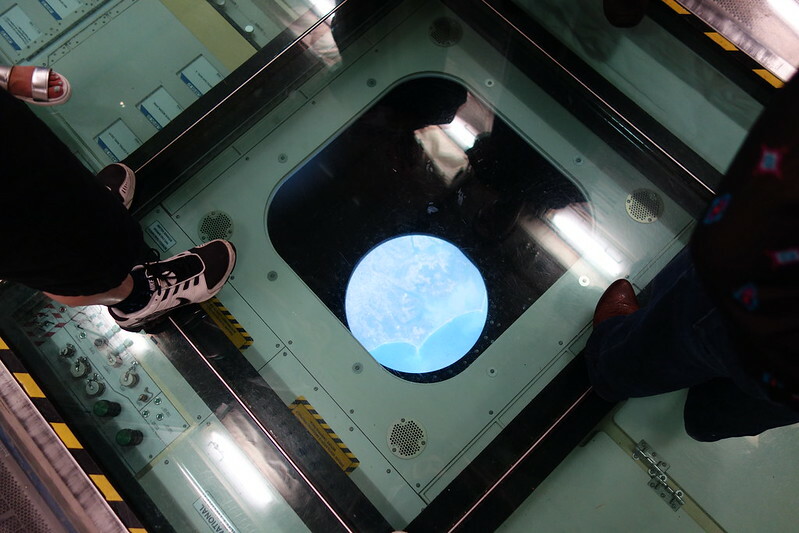 The best part was that you could walk through the module, see all of the crazy instrumentation, and even where astronauts would sleep. Though, for the replica, they had to modify it to actually have a floor. Since there is no gravity in space, there is no such thing has a floor. Instruments and windows anywhere you want! 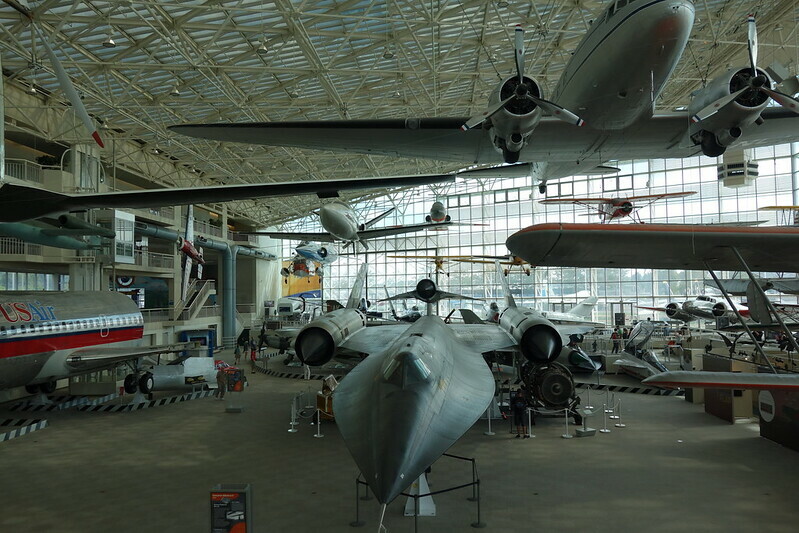 If you have the chance to check out the Museum of Flight, it is definitely worth the trip! I think that’s more than enough for part one! Next time: Pike Place Market, the Seattle Public Library, and Starbucks Reserve!